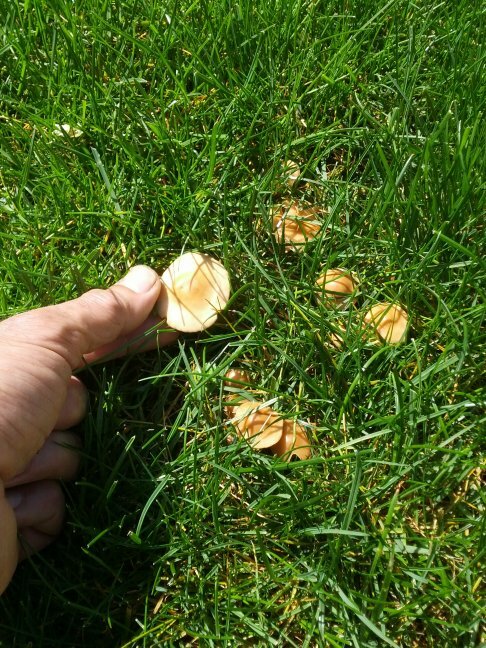 I wondered if you could transplant fairy ring mushrooms, Marasmius oreades. I found you can. There was a fairy ring in my front parking strip. I dug out a chunk of it with a trowel. In the back yard, I made a hole the size of that chunk. 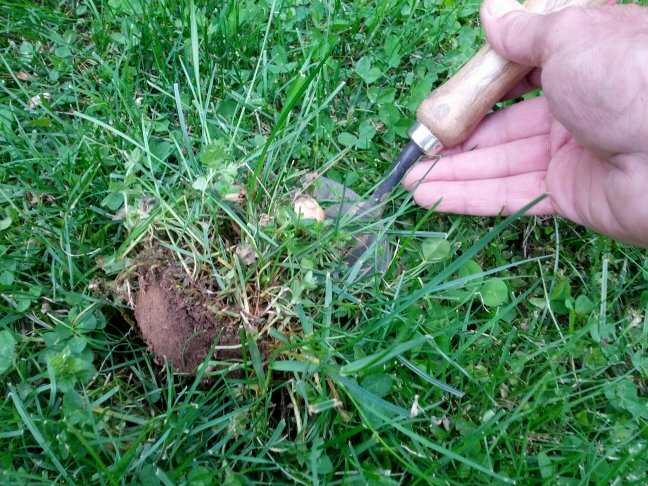 I put the chunk of sod, with mushrooms, in it. 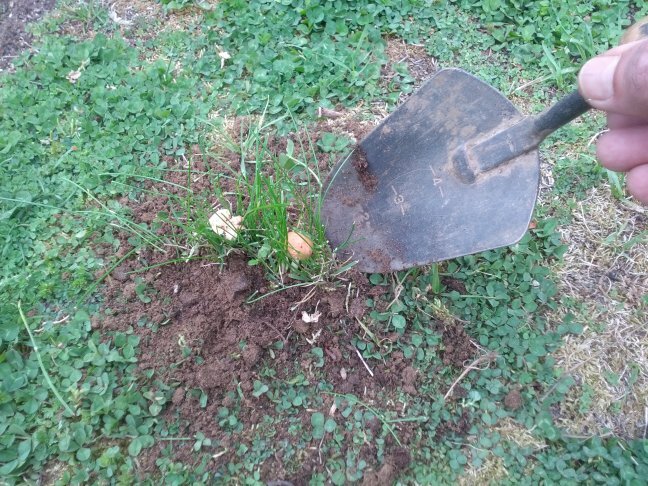 A year later, there was a new fairy ring of mushrooms where I had put the sod. The ring increases about two feet in diameter each year. I did this because I like these mushrooms, more than I care about a perfect lawn. Years ago, I was told the four characteristics to distinguish Marasmius oreades. The stipe is tough and wiry (for eating, I only use the caps). The stipe has some stray flocks of mycelium at the base. These look like white cottony fibers. The gills are of different lengths. Some span the whole distance from the edge to the stipe, but some only go partways in from the edge to the stipe. These partial ones fill in the spaces between the whole ones. The gills do not actually attach to the stipe. They inner edge of the gill may be in physical contact with the stipe, but is not truly connected to it. The guy who explained this to me said the dangerous mushroom most likely to be mistaken would be the sweat-producing clytocybe (Clitocybe rivulosa, Clitocybe dealbata). He said you must check each individual mushroom to make sure. The most definite difference is that the clytocybe gills connect to the stipe, or even run down it a little. Categories: botany and horticulture, how-to | Tags: botany, gardening, mushrooms, nature | Permalink.